Do your kids need to read books that that will not only ignite their enthusiasm for stories, but also meet their developmental and learning needs? Speech Pathologists at Kids First shares top tips about the best books to buy for emerging readers. What books are best for your kids? When you are buying books (or choosing them from the library) it’s important to select stories that are not only interesting for your child, but also appropriate for their level of development. Knowing where to start can be tricky, so here is a list of books that you can add to your child’s collection so that learning to read is both fun and easy. The ones marked with an asterix (*) are some of our personal favourites! When children are just starting to learn to read, they need simple books that are easy to decode. When they can read the words, they are more likely to stay interested in the story and so develop early literacy skills. Many publishers have book ranges that are perfect for your emerging reader. They contain high frequency words and picture that will help your child to understand what they are reading. As your child’s reading skills develop, a transition into ‘Whole Language’ Reading Books is a natural progression. These books feature more sight words and are better than decodable readers for building your child’s comprehension skills. The list below details some well-respected series that your child might both enjoy and benefit from. Next time you are thinking of a gift for a child…try one of these great options. McALISTER, Angela &FUGE, Charles Found You, Little Wombat! 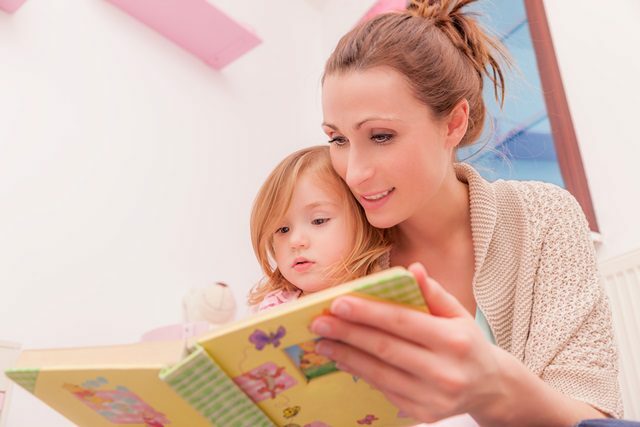 Does your child need help to read more confidently? Kids First’s qualified speech pathologists have years of experience in supporting children’s literacy. If your child is struggling, we can help by identifying what is causing your child’s difficulties and creating a personalised program of support that will take your son or daughter forward. Kids First is located in Brookvale in Sydney’s northern beaches. Call us now on (02) 9938 5419 to make an appointment with a member of our highly qualified team.